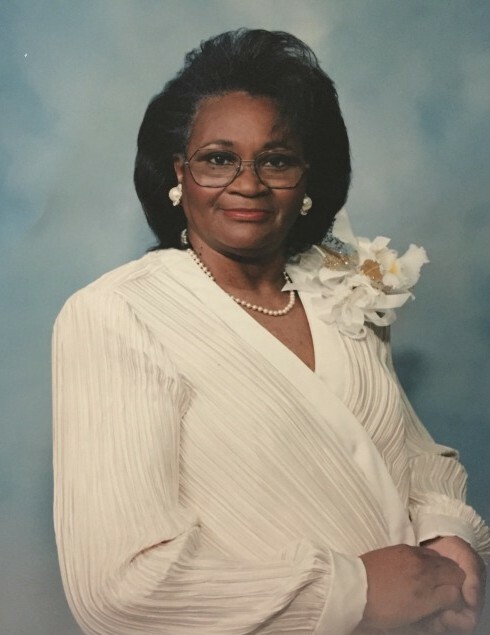 Daisy Ruth “Sue” Dennard was born November 1,1930 to the late Forrest Dennard, Sr. and Johnnie Mae Smith Stephen in Terrell County, Georgia. At an early age, Daisy accepted Christ as her personal savior, was baptized and joined Jerusalem Baptist Church (Dawson, Georgia). After years of faithful attendance and service, she transferred her membership to Sardis Baptist Church (Dawson, Georgia) where she again faithfully attended service, was a member of the Dorcas Club and the choir until her 2007 move to Maryland. At church, when the preacher asked everyone to turn to a book/chapter in the bible, Sue was known to be able to get there faster than anyone else. In Maryland, she continued worship at Reid Temple African Methodist Episcopal Church. When her illness prevented her from attending service, she worshiped via the church’s livestream broadcasts. After she became housebound, two of the church’s ministers, Rev. Odessa Simpson and Rev Chinia Dillard visited Miss Daisy, prayed with her, sang songs with her and brought communion to her. This continued until her death. 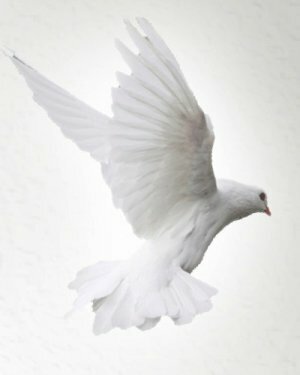 Gifted with a beautiful singing voice, Miss Daisy loved to sing gospel songs, would chime in whenever she heard any song and would sing and sing and sing. Even as her memory failed, she could repeat and sing a new song after hearing just one stanza. During the 2012 Summer Olympics, Miss Daisy won “an olympic gold medal in singing” at Winter Growth Adult Day Care Center, the senior center she attended until December 2014. While Alzheimer's disease may have stolen her memory, Miss Daisy never forgot music or loss her appreciation for spirituals, hymns and gospel songs, continuing to sing them and sing along with them on the radio or from her playlist. As her health continued to decline and she could no longer sing out loud, she gently mouthed a few of the words to songs she knew. On May 25, 1946, Sue was joined in matrimony to Sammie Lee Ward. To this union, her “one and only, pride and joy” Forrest Leonard Ward was born. A loving mother from his birth until his untimely death, Miss Daisy was always there for Forrest. She would do and give anything and everything for him. In spite of their fights (Forrest not doing what his mother wanted him to do as a child, Forrest not listening to advice Sue provided as an adult, Forrest moving Miss Daisy from her home to Maryland when she could no longer live on her own, Forrest placing Miss Daisy on the bus to attend adult day care when she did not want to go, Forrest not going back into the house to retrieve Miss Daisy’s “pocketbook or earrings” when they were going someplace, etc. ), Miss Daisy loved her some Forrest. When she could not see him, Miss Daisy would ask “where’s Forrest?” As her memory continued to decline and she could no longer recall his name, she would ask “where’s Son?” During the last eight years of his life, Miss Daisy and Forrest grew closer and closer and would often be observed falling asleep as they leaned on each other and lovingly held each other. A quiet lady, Miss Daisy found joy spending time with children, dressing up, cooking for her family, attending her beloved Atlanta Braves’ baseball games and watching wrestling on television. When she moved to Maryland, she joined the Sophisticated Ladies Pokeno Club where she enjoyed playing, winning and having a good time with the ladies. One to always do for others, especially family members, Sue was the family member to turn to when in need. Whether it was giving money, babysitting, or becoming the caregiver for the declining health of family members, Miss Daisy was always there. On April 9, 2018, God spoke and Miss Daisy was called to Glory, reunited with her son, parents, brothers (Arthur Lee Dennard, Sr, Charlie Will Dennard, and Johnny B. Dennard, Sr.), sisters (Lillie Mae Pittman, Louise King, Essie Bridges), grandparents; and other family and friends. She leaves treasured memories, her undying love, infectious smile (when she wanted to give it! ), uncanny wit, mischievous antics and a profound impact on the lives of her daughter-in-law Fetina Ward of Silver Spring, Maryland; grandchildren Terry (Sholanda) Armstrong, Sr. of Stone Mountain, Georgia, Selena (Terry) Borner of Covington, Georgia, and Shannon Ward of Baltimore, Maryland; great-grandchildren Morgan Borner, Terry Armstrong, Jr, Madison Borner, Maxwell Armstrong, and Chloe Armstrong; sisters Mary Frances Green of Charlotte, North Carolina, Rena Lewis of Ellenwood, Georgia, and Annie Ruth (Dennis) Williams of Dawson, Georgia; brothers Deacon Forrest (Fannie) Dennard, Jr. and Willie Fred Dennard Sr., both of Dawson, Georgia; sister-in-law and best friend Annie Mae Dennard of Dawson, Georgia; sisters-in-law Annie Lee Dennard, Amy Lee Ward, and Dorothy Ward, all of Dawson, Georgia; favorite niece with whom she had a mother-daughter relationship Brenda (Jimmy) Bell of Sasser, Georgia; lifelong friends Mrs. Rushie Bridges and Mrs. Martha Smith; and a host of nieces, nephews, other relatives and friends.